social innovation; service innovation; concepts and contexts; approaches and instruments; recurrent patterns of social innovations; ways of addressing users; internal organisation and modes of working; interaction with the local welfare system. 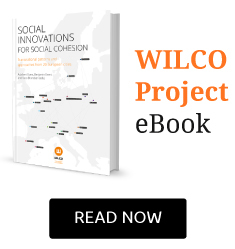 In a nutshell, WILCO aimed to examine, through cross-national comparative research, how local welfare systems affect social inequalities and how they favour social cohesion, with a special focus on the missing link between innovations at the local level and their successful transfer to and implementation in other settings. Coordinated by Prof. Taco Brandsen from the Radboud University Nijmegen, WILCO’s researchers (over 30 researchers from ten countries) chose 20 European cities for investigation. Each country studied was represented by one big and one medium-size city, namely: Zagreb and Varaždin (Croatia), Nantes and Lille (France), Berlin and Münster (Germany), Milan and Brescia (Italy), Warsaw and Plock (Poland), Barcelona and Pamplona (Spain), Stockholm and Malmö (Sweden), Berne and Geneva (Switzerland), Amsterdam and Nijmegen (Netherlands) and Birmingham and Dover (United Kingdom). to identify such recurrent approaches and instruments used in the innovative cases. Moreover the case studies had to point at the linkages between innovations and the local context that play a key role in the ways these innovations developed as projects and processes. This was intended to help getting a clearer image of the real impact these innovations already have in local welfare systems. What are innovative approaches and instruments in local welfare systems? Are there post-conventional service patterns and path-breaking social offers emerging in times of austerity? Or does the latter prevent the former by definition? What differentiates a social innovation in, say, Milan from one in, say, Birmingham? Which local conditions and support do they require in order to unfold and blossom? What else do we know about ways and processes to adopt and adapt good ideas in practice? These questions constituted the origin of our search for social innovations in 20 European cities in ten countries. Seventy-five innovations were been analysed alongside a consented scheme. This constituted one of the first attempts towards such a systematic stock-taking; a similar effort had been made in another EU-funded research project, INNOSERV (2012), though. It appears that what INNOSERV researchers drew from their sample in terms of generalized findings on new logics, instruments and ways of proceeding in social services is quite similar to what was found in our sample, this introduction and the reading of innovatory cases it presents. In the second part of this introduction, a structured overview is presented on what we see as the main recurrent patterns of approaches and instruments as they show up in the descriptions of local innovations presented in the book. This major part of the introduction represents what one might call a possible way of reading and understanding the innovations from a social policy perspective. What are these innovations offering in terms of potential lessons to be learned by (local) social policies and those engaged in developing (local) social services that work better for social cohesion? However, before embarking into these two introductory parts, we have to remind the reader that there are elements and dimensions of the case studies that will not be taken up here. Indeed, the case studies mentioned elements of the local contexts and more specifically of local politics that have in various ways either enabled or disabled the emergence and development of the social innovations studied—local support measures, programmes, reactions from other local actors and organisations, decisions in local parliaments, etc. In this introduction, however, no systematic reference is made to these parts of the findings on local innovations. They will be taken up in other parts of the WILCO project and a later book publication, in which we will analyse how prevailing discourses and the respective local routines, orientations and values deal with social innovations in place and shape their dynamics and potentials. Effects and sense of local innovations can finally only be understood with an eye on the interplay between innovations and contexts, or, more specifically, innovations and politics of welfare reform. This topic will be mentioned in a short conclusive part. You can read the complete ebook online, download a pdf, epub and ibook here. 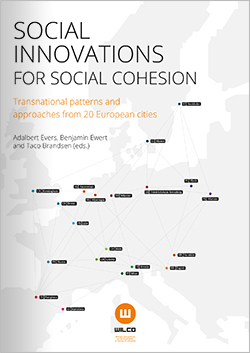 This e-book is part of the research project entitled “Welfare innovations at the local level in favour of cohesion” (WILCO). WILCO examined, through cross-national comparative research, how local welfare systems affect social inequalities and how they favour social cohesion, with a special focus on the missing link between innovations at the local level and their successful transfer to and implementation in other settings. The WILCO consortium covered ten European countries and was funded by the European Commission (FP7, Socio-economic Sciences & Humanities). 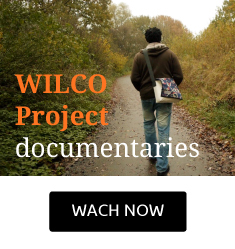 More information on WILCO can be found at www.wilcoproject.eu.